Killing Eve is an American 60 minute scripted thriller television series, which kicked off on April 8, 2018, on BBC America and is broadcast every Sunday at 20:00. The show is currently in its 2nd season. 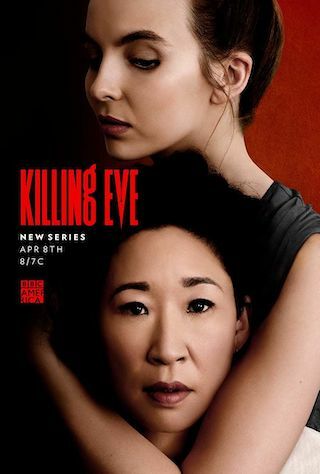 BBC America has officially confirmed the renewal of Killing Eve for Season 3. The exact release date is yet to be announced so far. Sign up to track it down. October 22, 2018 - BBC AMERICA announced today two new additions to the cast of its break-out drama Killing Eve which returns for the second season in Spring 2019. Henry Lloyd-Hughes (Indian Summers, The Inbetweeners) and Award-Winning stage actress Shannon Tarbet (Colette, Genius: Einstein) will join the previously announced new cast members Nina Sosanya, Edward Bluemel and Julian Barratt and series stars Sandra Oh, Jodie Comer and Fiona Shaw. The series, produced by Sid Gentle Films Ltd and based on the Codename Villanelle novellas by Luke Jennings, is currently shooting in Europe.